There has been a large amount of media coverage over the reduction in sizes of chocolate bars. The manufacturers would like us to believe this is a health measure in the wake of the upcoming epidemic of diabetes and obesity. Little attention has been given to crisps and a similar story. I am rather more cynical and note that the decreasing sizes of confectionery often do not correlate with decreasing prices and allow manufacturers to reduce costs and increase profits simultaneously. When food items get smaller packaging it seems does not as witnessed by my tiny Boost bar rattling around inside it’s packet this week. Just now however it seems the situation has got ridiculous. 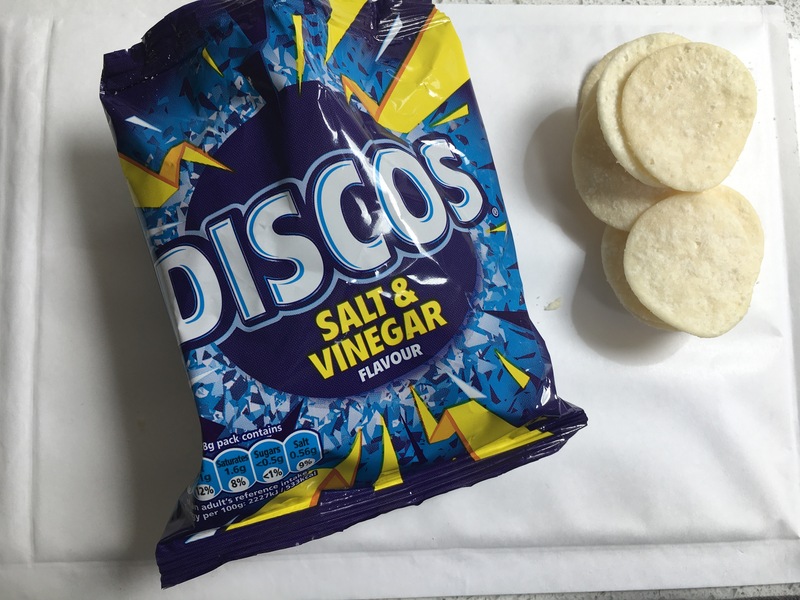 My daughter having been given a packet of Discos was unimpressed to find that a complete packet contained 12 crisps. Regardless of the numbers on the packet and the knowledge from the small print that requires the Hubble telescope to read, that a heavenly 28g lay within. 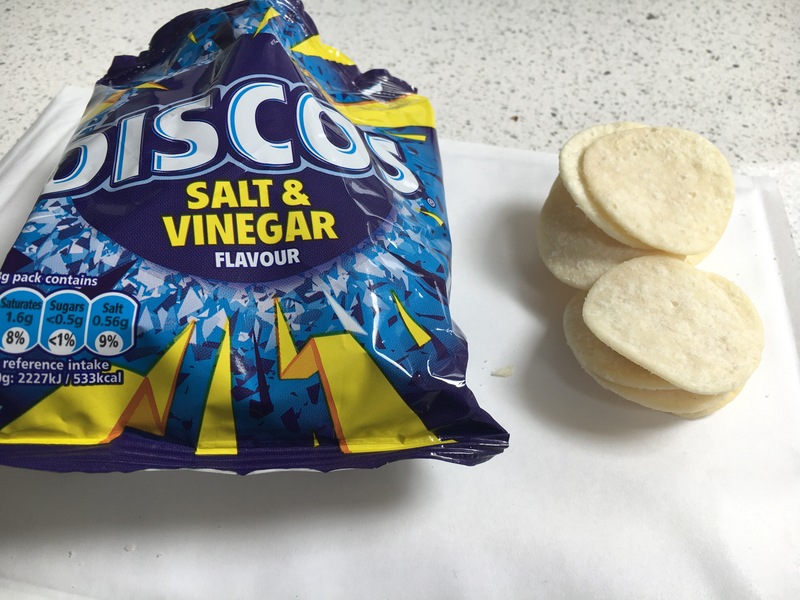 I defy most people to know how much a decent sized packet of crisps contains. I might suggest more than 28g is needed. The problem is not the weight nor the portion size but the expectation that the packet contains far more. Are we being conned by this? Surely legislation should dictate that a buyer can and should be able to have a reasonable expectation of the correct quantity of food in a container? The fact that this packet was from a multipack item is irrelevant.